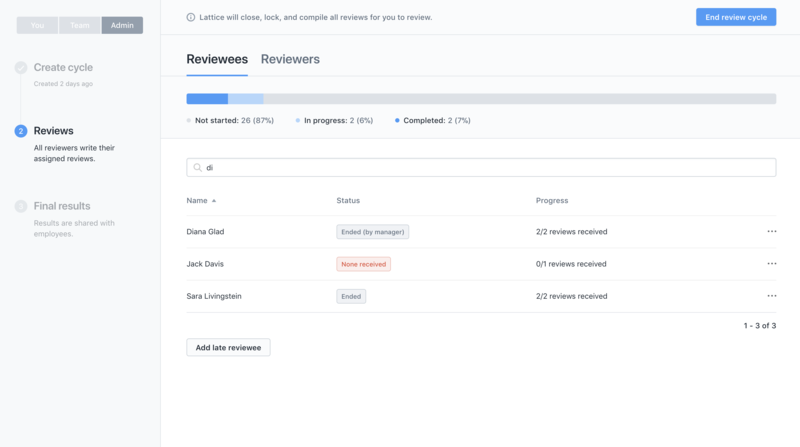 Typically admins have control over the review cycle process, but for those who want to give managers more control, you can configure review cycles so that managers are empowered to end a review cycle for their direct report and immediately share their reviews. Teams and managers can now move at their own pace, decreasing the time it takes for a review cycle to finish. 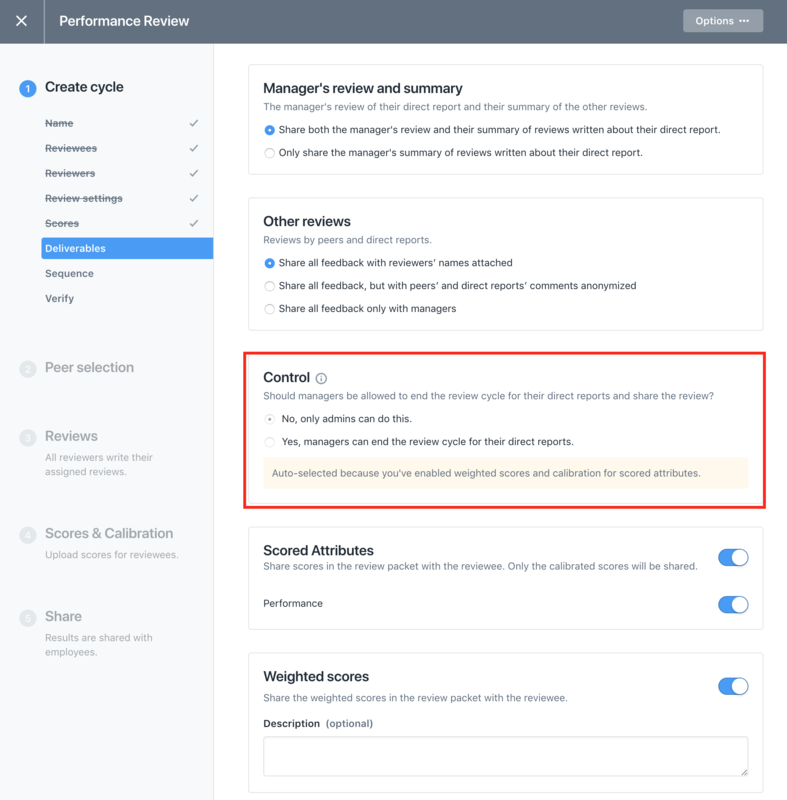 While creating a review cycle, there now exists an option on the Manager's role step where you can select whether or not managers (in addition to admins) can end the review cycle for individual reviewees. Managers will only be able to do this when all reviews have been submitted for an individual. During the cycle, you can see when a manager has ended the review cycle for their direct report on the Admin tab. Reviewees that have been ended by their manager will have a status of "Ended (by manager)" next to their name. Even after a manager has ended a direct report's reviews, an admin can still reopen the reviewee. Once a manager has closed a reviewee, the reviewee will appear in the "Final results" table (along with all other closed reviewees). Managers can now share the reviews and their summary with the reviewee, just like if an admin had closed them.